Anyone who knows me will understand my love for ice cream. The creamy texture, endless flavour combinations, and childish frivolity that is brought about when eating ice cream. However I can be rather picky and impartial to the mediocre flavours that fill supermarket isles. The conundrum is once you begin to try “real” ice cream, it is very difficult to ween back to the less than ordinary but affordable ice-cream. The solution, like most great things in life, is to eat less but enjoy more. 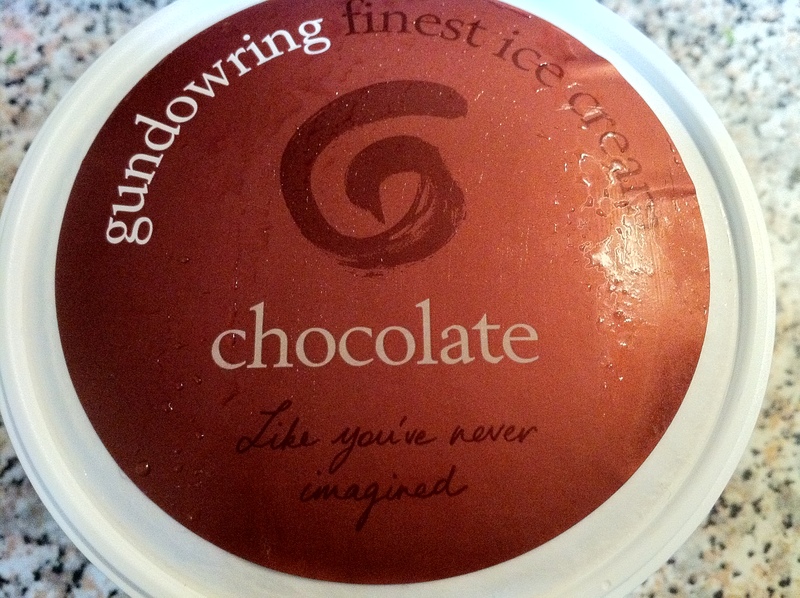 Gundowring ice cream is worth the extra pennies, averaging between $10-$12 dollars for 500ml. Run by a husband and wife team, Sarah and Stephen Cooke. Their success comes from their ability to work with the natural ecology of the pristine mountain surroundings of Kiewa Valley in regional Victoria. The cows graze on lush green grass, drink water run-off the mountains and breathe fresh air. They live a drastically better life than most cows used for production. This practice helps to sustain a better life for the cow and subsequently create a better tasting dairy product. The four main flavours are chocolate, raspberry, toasted honey & walnut and French vanilla. Their best known for their award winning liquorice and coconut flavours. What’s great about this brand is that they make seasonal flavours too, this month they are making a French plum & almond flavour. If you are a chef they can specialise flavours for you, such as blue cheese or lemon myrtle. Gundowring uses coverture Callebaut chocolate to give a velvety texture and smooth finish. 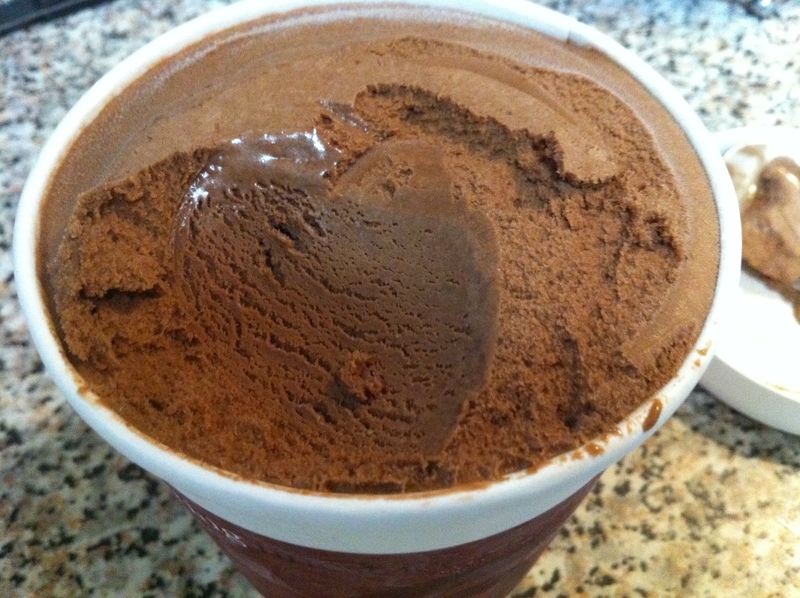 The chocolate is rich yet still quite creamy, melting like mousse once it hits the palate. It is not bitter or watered down at all. I prefer a bolder taste of chocolate, perhaps a darker chocolate with more spicy characteristics. However, the natural taste and creamy texture of the product compelled me to ignore my initial thoughts. It can be eaten on it’s own, teamed with seasonal fruit or eaten on top of a freshly baked tart. The packaging is made from recycled material, which reflects their approach to sustainability. I really enjoyed this ice-cream and felt confidant that this was the “real deal”: real milk, seasonal products, recycable packaging and sustainable practices. I cant wait to try the other flavours, look out for the name at specialty food stores, farmers markets and some IGA supermarkets.